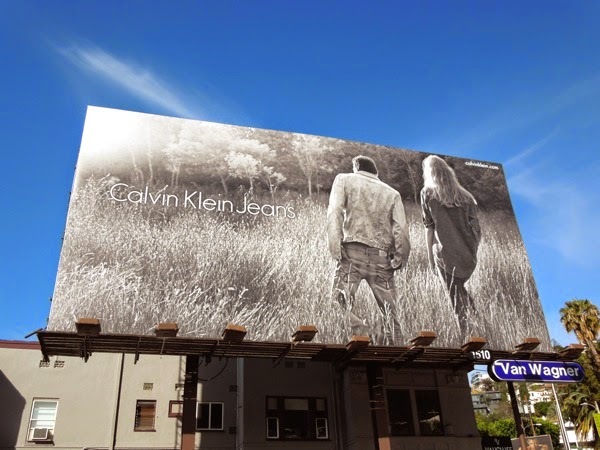 Now here's a refreshing change, a Calvin Klein ad where the models keep their clothes on (well, at least in this billboard). Daily Billboard loves the dreamy feel of this black and white ad creative which is more subtle than previous campaigns from the designer denim brand, and features the backs of Matthew Terry (known for his underwear modeling for Calvin Klein) and Vanessa Axente. 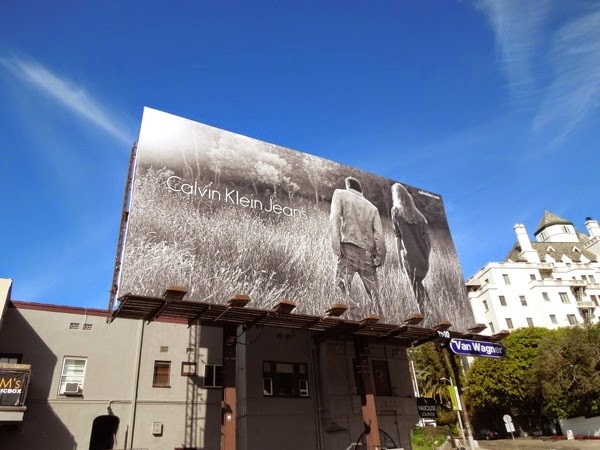 But don't worry the young models do get their kit off in this Spring campaign video for Calvin Klein's new jeans offering, photographed and directed by Mario Sorrenti. 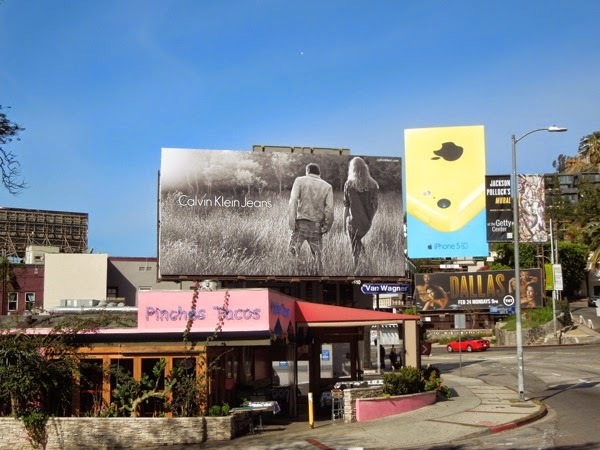 This new Calvin Klein Jeans billboard was spotted along L.A.'s Sunset Boulevard on April 7, 2014. 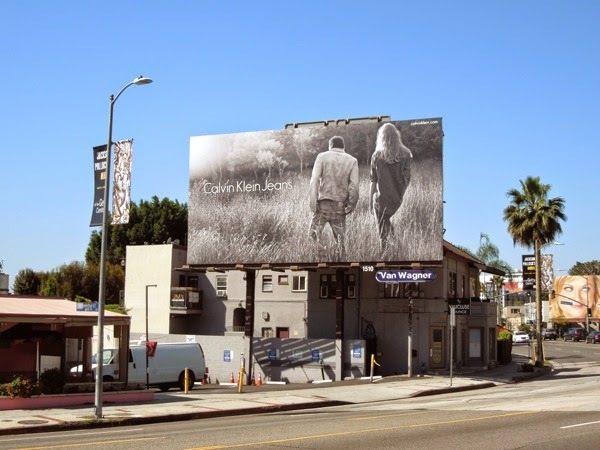 For a more raunchy approach to advertising denim wear, be sure to check out these Calvin Klein Jeans billboards from past ad campaigns.